This weekend I had the honor of hosting my sister's baby shower. Our 3rd big party in 3 weeks. With 40+ women on Saturday, it was such a great time. I have pretty much been planning this shower since my sister announced she was pregnant in February, and crafting since her gender reveal. My niece, Embry, will be here in 10 short weeks and hopefully on my birthday (my bday is Oct 14th and she is due on the 15th). Embry honestly won't have enough time to wear all the adorable clothes she has! Girl has enough to wear 3 new outfits a day for a year! And oh how precious is embroidered baby wear!! We kept joking that we will have to embroider "sister" at the bottom of all the clothing for baby #2. And swim suits...she already has 4 for next summer (the last suit I bought was for our honeymoon almost 2 years ago!). Many of you have commented on her name, Embry, and I wanted to share the meaning. Cori's husband, Jacob, has a wonderful step dad who has been in his life for many years. He is very special to me and Jon as well. He never got to have children of his own and his last name is Embry. So Embry will have a gramma and grampa Embry! We had a hairbow making station and played The Price Is Right- Baby Edition. My mom and I bought about 10 baby items (baby shampoo, powder, bottles, wipes, etc) and had the guests guess the price to the nearest cent. If you went over, you were out. It was fun! 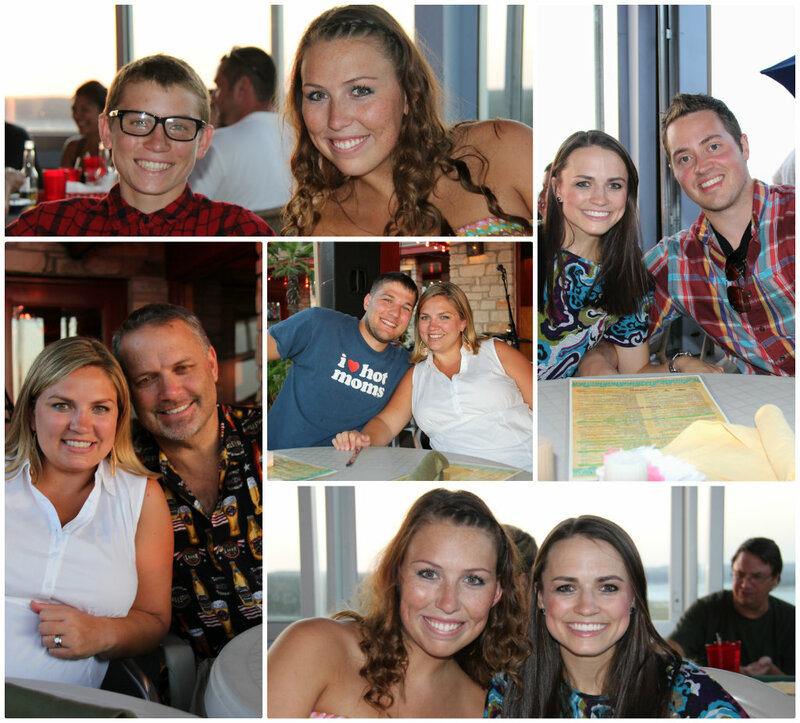 We also had a photo booth area where guests could write a special note to Cori, Jacob or Embry. 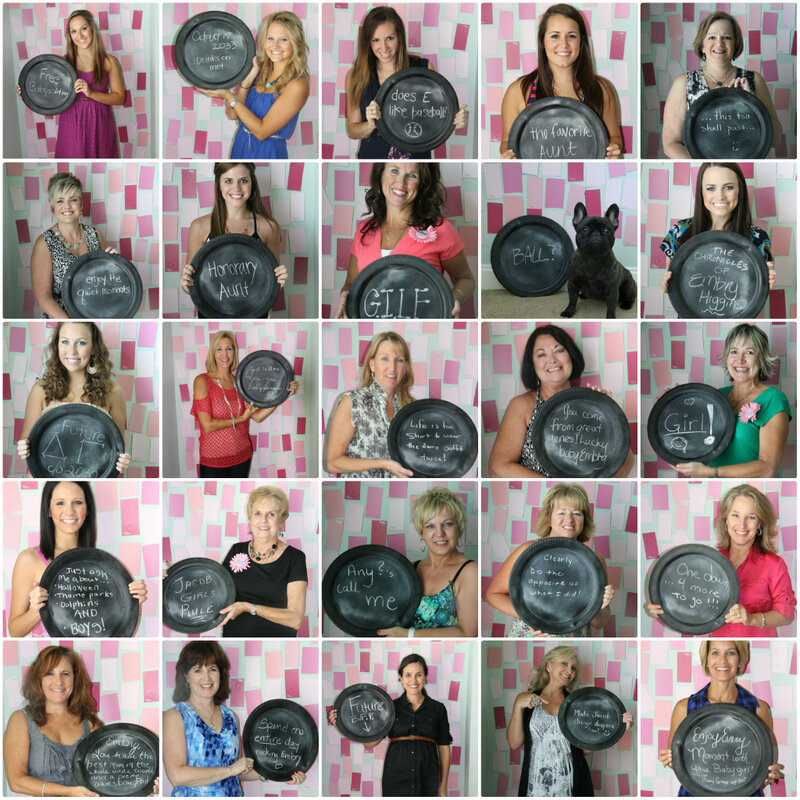 Some were funny, some were serious, it was the best idea in lieu of a guest book! There will be 5 of us very soon! who do you think looks like who? The shower was amazing. It will be a hard party to top. The stairs were COVERED in gifts. My favorite part of any party is watching someone open gifts. Heck I even got excited about bottle cleaners and Boppy covers. I love seeing my sister so happy. Baby E is already so incredibly loved. She is going to have many many people fighting for cuddle time! The men of the family (dad, brother, brother in law and Jon) spent the day together and joined us when the shower was over. Tomi and I showcased all the gifts and organized them for their trip back to Dallas. We recapped the shower, looked through photos then had dinner on the lake. Sunday morning I took couples maternity photos for Cori and Jacob. I can't wait to go through them tonight and show you guys! Sorry for the picture overload but this was such a special weekend for our family. Get ready...come October you will be showered with pictures of my niece! adore the decorations and that sweet name! 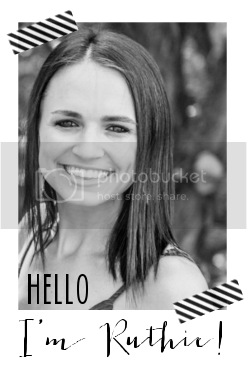 I love when names mean something :) and Ernie's photo booth shot is too great. 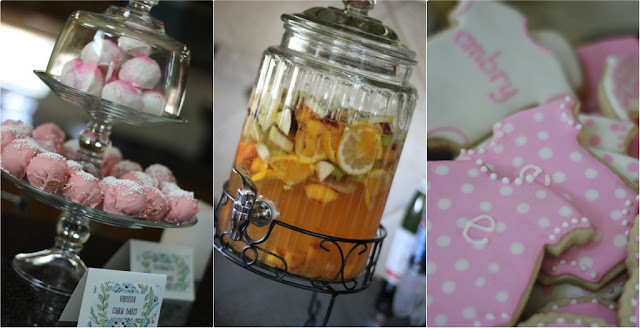 Seriously, you give the cutest parties! Thanks for sharing all your cute ideas! Such a beautiful shower!! You and your family are completely adorable!! By the way...October 14th is your BIRTHDAY???? That's my third kid's birthday!! He will turn 15 this year. You did such a great job, Ruthie! So creative and fun! I love the name of your soon to be niece, it's so cute and what a great meaning behind it! Ruthie, everything looked so perfect! That photo booth idea is the best! 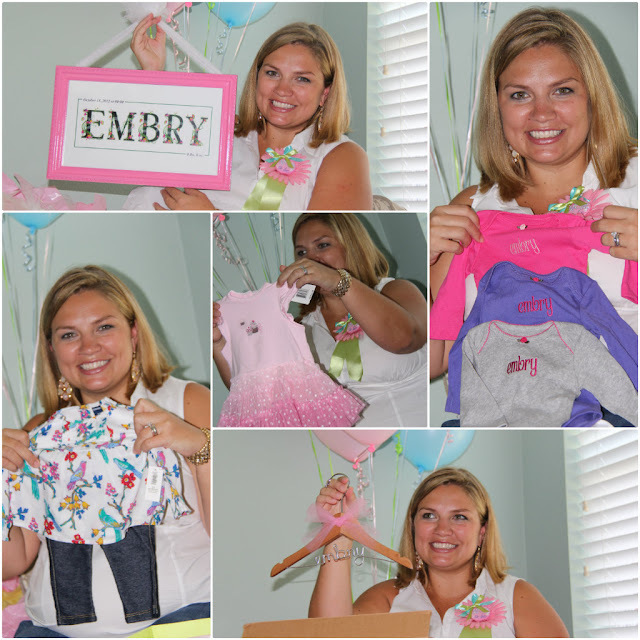 Baby Embry is going to be one spoiled and blessed little girl!! You done good!!! You definitely look more like your dad than your Mom, I've decided :) And I think Tomi looks more like your Mom and Cori is kind of a mixture lol. Glad you had such a wonderful weekend! Man, you sure know how to throw a shower! That looks amazing! I especially love the baby clothes hanging from the banister. So precious! What a beautiful shower! I LOVE the photo idea!! Can you throw me a baby shower???? HA! 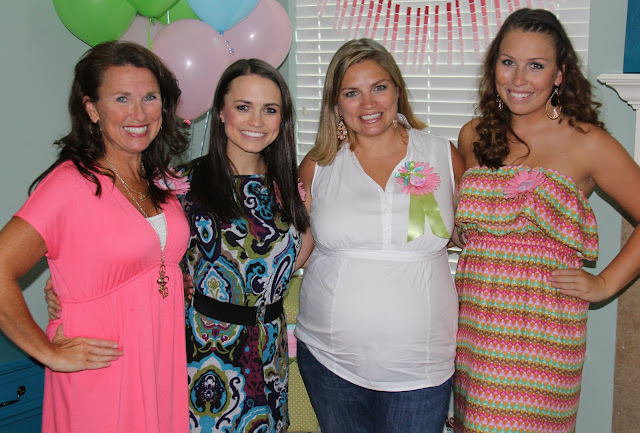 I'm not even pregnant - but dang girlie you know how to throw a party! I love the picture instead of guest book idea- totally stealing this someday! You did a GREAT job with this shower. I couldn't tell at first who was the mom in the picture of the four of you. Beautiful ladies! 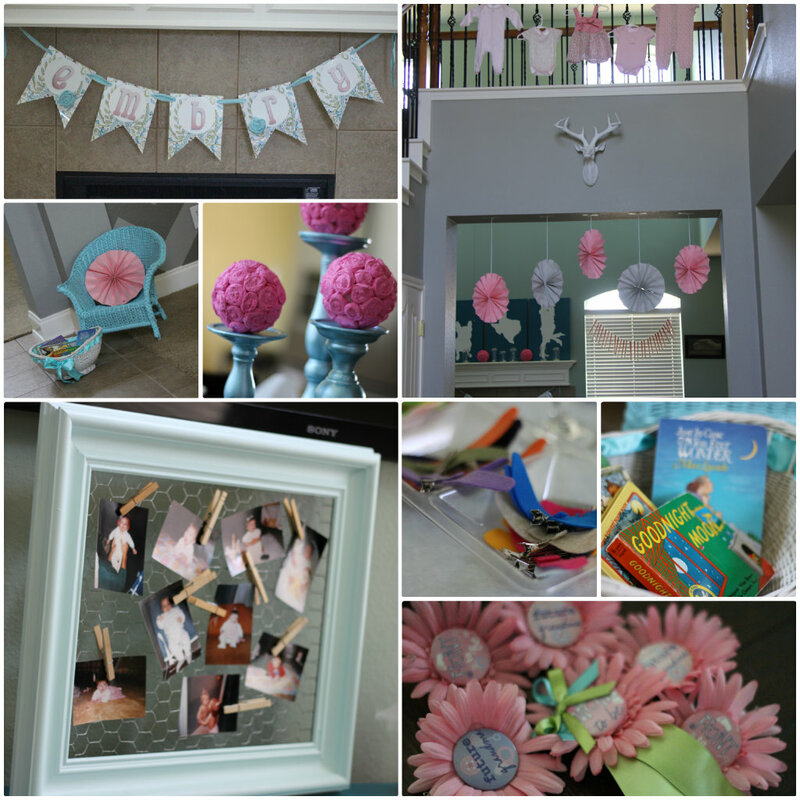 Super Cute Shower Ruth!!! Love all the ideas. 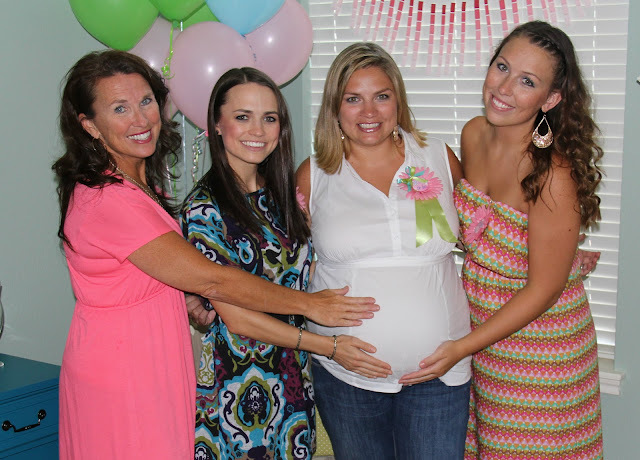 OMG seriously the cutest baby shower ever!! You have a real talent for event planning girlfriend!! If lil Embrey didn't already have a Name Art for her nursery I'd offer her one from http://alphabitty.com. I love everything about this! Seriously!! What an adorable shower. You are awesome at hosting parties!! And I LOVE LOVE LOVE the name and the meaning behind it. How sweet and precious! you are the party plannin' queen! Love all the decor (did you do it all yourself?!) And that name and the meaning, oh my word, so cool! I'm sure Grandpa Embry feels super honored and blessed to have a granddaughter named after him, so awesome! Tell her to hurry up and get it out so I can see this beautiful girl. Wow...this whole shower could be one pinterest board :) What do you plan to do with the photos from the guest book photos you did? Love it!!! Great job on the party! Everything is so cute, and I just love that name and why they chose it. Would be so cool if your niece is born on your bday. That party look fabulous! I've said it before, and I'll say it again, you def know how to throw a party!! you go girl! Do you mind me asking, what picture app do you use to put pictures together? I like it! Wow...great job, girl!!! I really love the photo booth idea. That turned out really great! I'm going to use your sangria recipe for a party next weekend! I knew this shower would be Ah-mazing! You did an awesome job Ruthie! I need to know how to make the cake balls and the pomanders, can you share? Sounds like it was a great time and your sister was feeling the love. Showers are so much fun. And Ernie's photo..."Ball?". Laughed out loud when I saw that. Too cute! Omigosh Ruthie! You are so darn creative! I am sure your sister had the best day! Those diaper babies are adorable...I think you should post a tutorial! What a special day and I cannot wait to "meet" Embry.